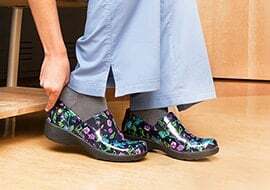 or nurses working with patients who have limited mobility, a gait belt — sometimes also called a transfer belt — is a critical piece of equipment. This simple strap makes it easier and safer for the patient and the caregiver to move around together, especially when it comes to standing and walking. Not only does a gait belt reduce the risk of patient falls, it also helps protect caregivers from straining their backs. 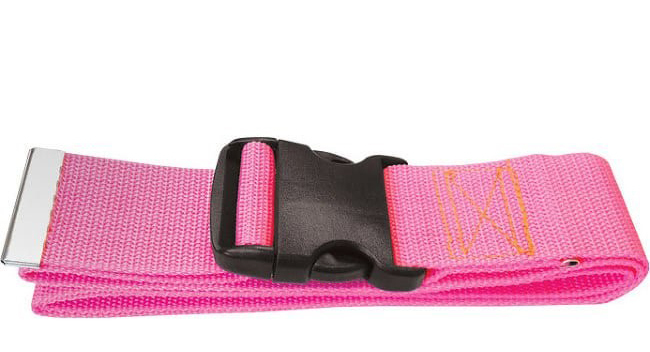 Read on to learn everything you need to know about gait belts and how to properly use them. A gait belt is an assistance safety device that can be used to help a patient sit, stand or walk around, as well as to transfer them from a bed to a wheelchair and vice versa. Nurses will secure the gait belt around the patient’s waist, then grab the belt to steady the patient as they move around together. 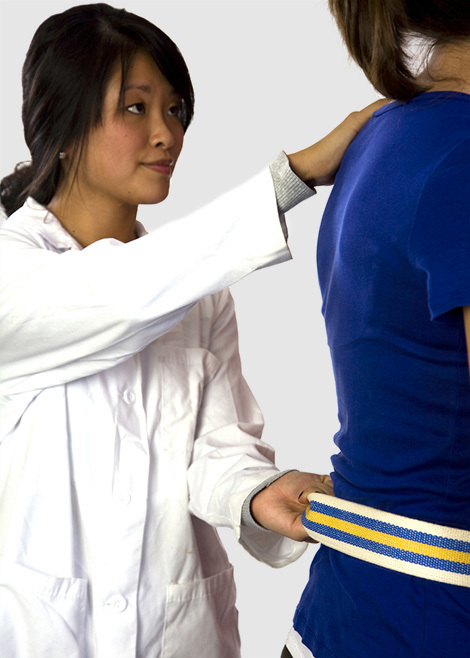 When used properly, a gait belt reduces the chance that a patient might accidentally fall. The belt also takes some of the physical stress off the caregiver and reduces the chance a nurse could injure his or her back. 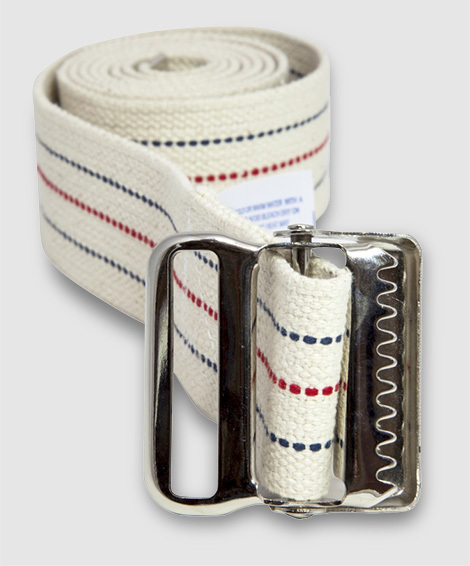 Gait belts are usually a few inches wide and made from canvas, nylon or leather with a buckle at the end and sometimes loops for holding. 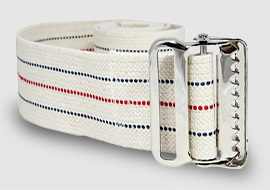 There are two main types of gait belt: a standard design with a metal buckle featuring loops and teeth and a quick release design featuring a plastic buckle that snaps in place. When Should I Use a Gait Belt? A gait belt is not appropriate for every patient situation, but it can be a good choice if the patient still has some mobility and is only partially dependent on the caregiver for support. It’s important to remember that a gait belt is a mobility assistive device, and it should not be used to lift or move patients outright. If the patient is not able to partially move themselves, a powered portable or mounted lift device should be used to safely transfer them. Even if the patient does have relatively good mobility, be cautious of using a gait belt if they are recovering from a condition or surgery that affects the abdominal or lower back region, such as back surgery or an abdominal aneurysm. Also use caution if the patient has any feeding tubes, catheters or other apparatus near the abdominal area. Their physician will be able to advise you on whether a gait belt is a good option for the patient. The Occupational Safety and Health Administration (OSHA) recommends several best practices for using a gait belt. In all cases, make sure the belt is snug but not overly tight — two fingers should fit between the belt and your patient — and securely fastened so that the resident won’t undo it while being moved. Also check to see that there’s at least one layer of clothing between the gait belt and the resident’s skin to avoid chafing. Remove any obstacles that might get in the way of movement, whether that’s bedrails or items on the floor. 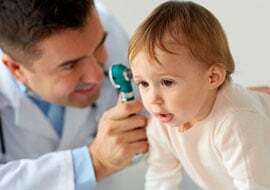 No matter what you are using the gait belt to do, verbally let the patient know that you’re going to put the gait belt on them and walk them through the transfer process. If you’re lifting the patient, it also helps to count down to the lift so you both can rise in sync. To help someone stand up while wearing a gait belt or to transfer them from one place to another, first help them into a sitting position and put on the gait belt. Then stand facing the patient with your back straight and knees bent. You should have a wide stance and stable base of support, and be sure to support as well as lifting from your knees rather than your back to avoid strain. 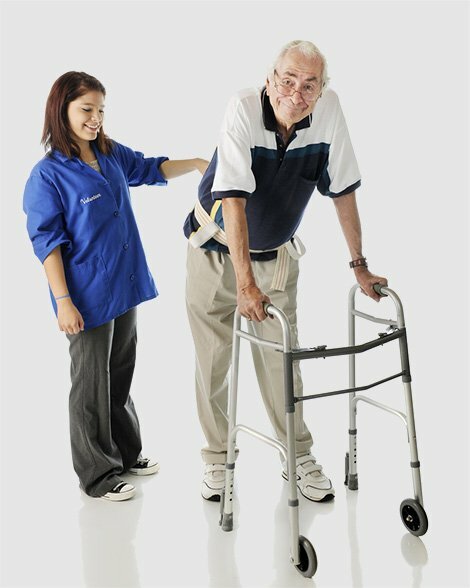 Using both hands, firmly grasp the gait belt on either side and straighten both knees as you lift the patient up. To help someone walk while wearing a gait belt, stand behind and to the side of the person. Using an underhanded grip with your palm towards you, firmly grasp the loop on the back of the gait belt. Support the patient as they walk, keeping with the pace that they set. A gait belt is a simple but incredibly effective tool for helping patients move around and retain as much of their own mobility as possible. If you’re a nurse working regularly with patients who have limited mobility, you should own and know how to use a gait belt for the sake of both your patient’s health and your own back.